A left posterior fascicular block will have right axis deviation, a small R in lead I and a small Q in lead III, in the absence of right ventricular hypertrophy. 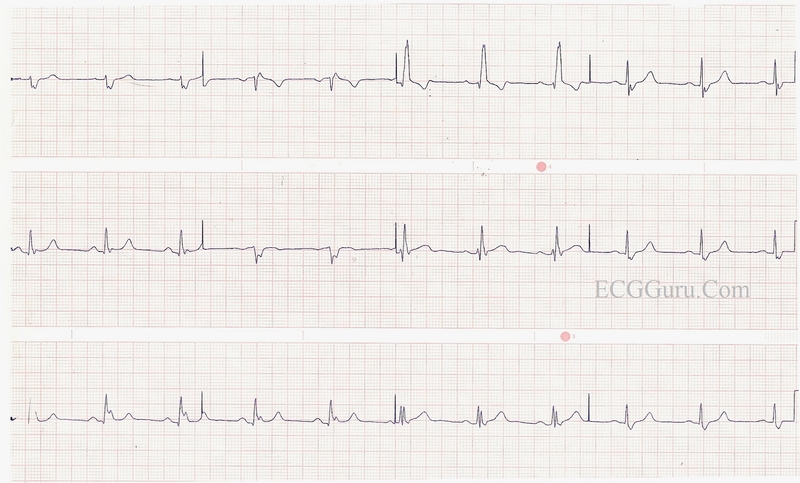 This ECG is from a man in his 50s with a history of thyroid cancer was brought to the Emergency Department after being found minimally unresponsive with sonorous respirations on his couch at home. Blood glucose level was 76 mg/dL. EMS administered naloxone, which was followed quickly by hyperventilation but no improvement in mental status. EMS performed RSI at that time using etomidate and succinylcholine, but intubation was unsuccessful. Luckily, BVM ventilation was easy in this patient, and he was bagged on the way to the ED, with oxygen saturation maintained in the mid-90s. He was intubated immediately on arrival to the ED using ketamine and rocuronium. 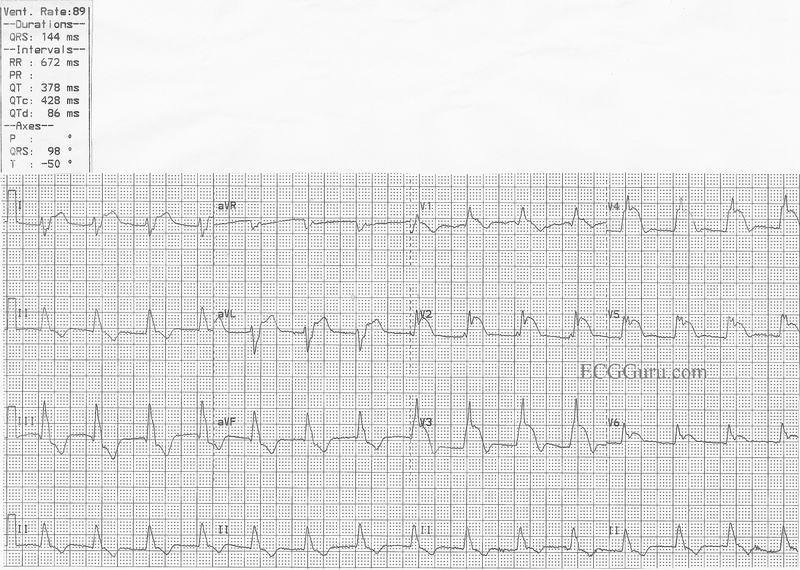 This was the repeat ECG after dialysis.